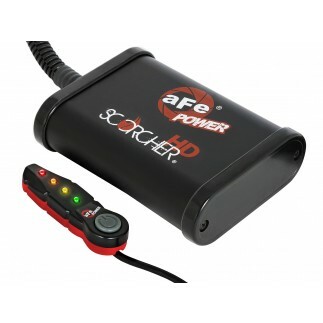 Stock upgrade with no core charge. 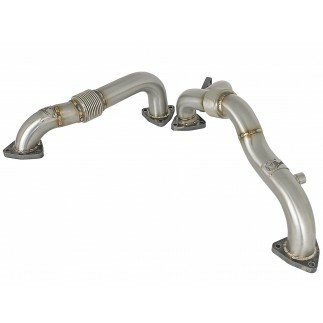 All connections to the vehicle are compatible with the OE. 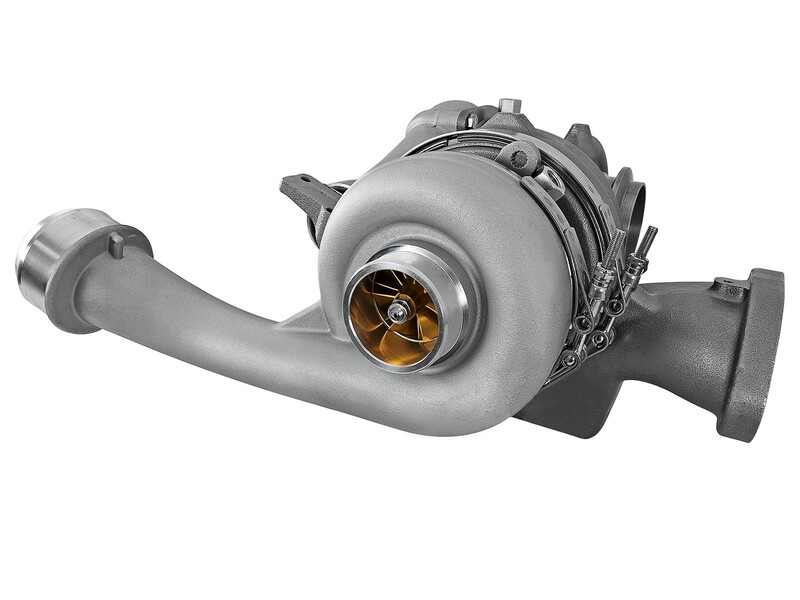 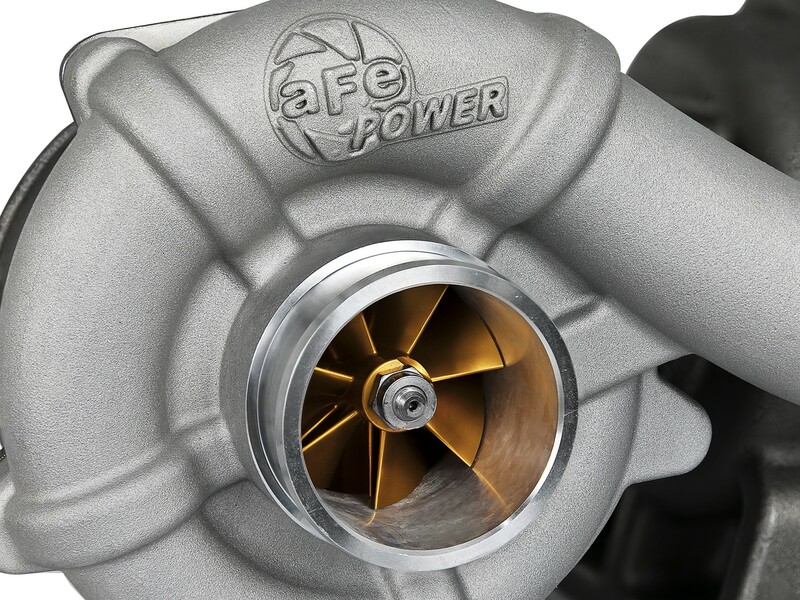 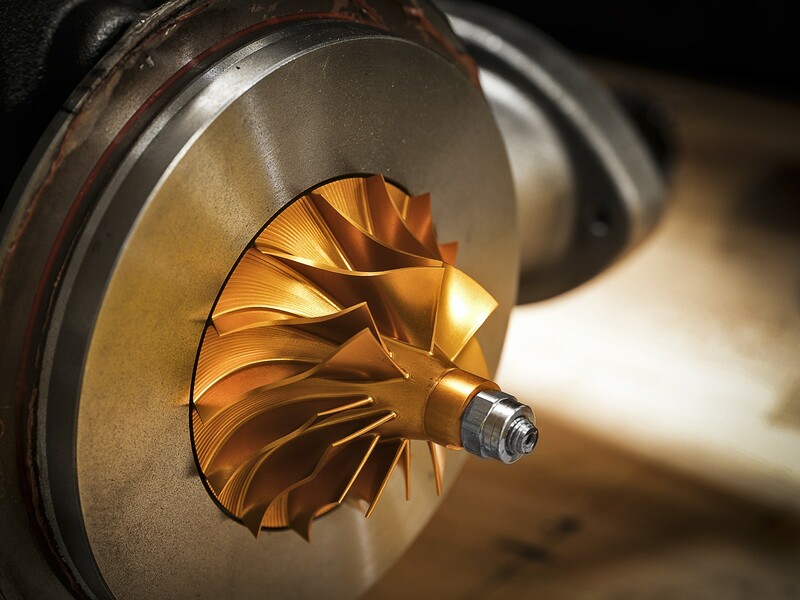 Both turbos feature a gold anodized 7/14 bladed billet aluminum compressor wheel that is lighter and stronger than the stock cast wheel to help provide quicker “spool-up” and higher air flow than the stock turbo setup. 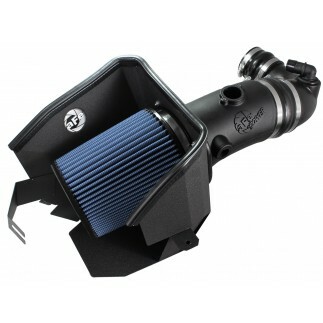 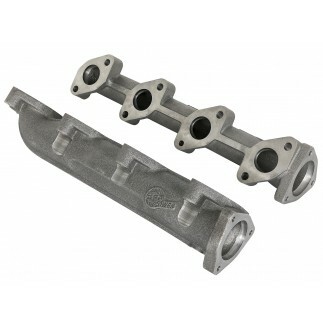 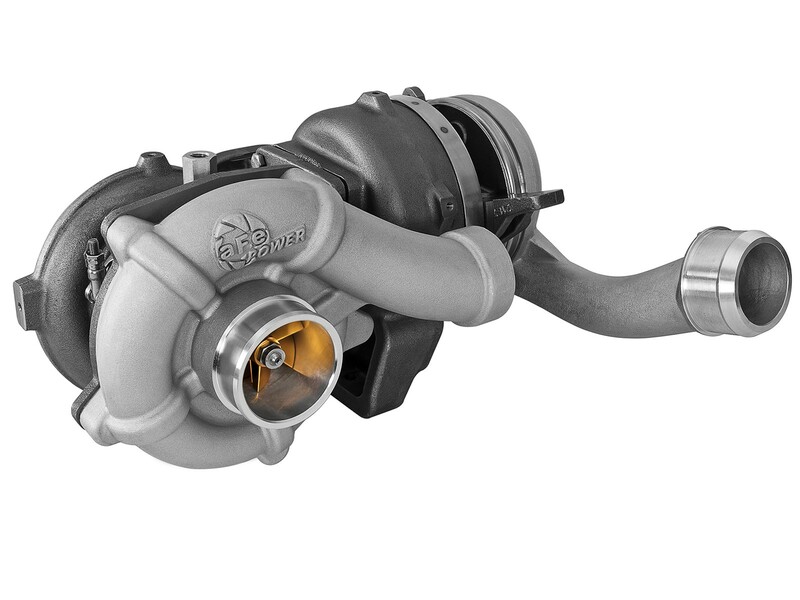 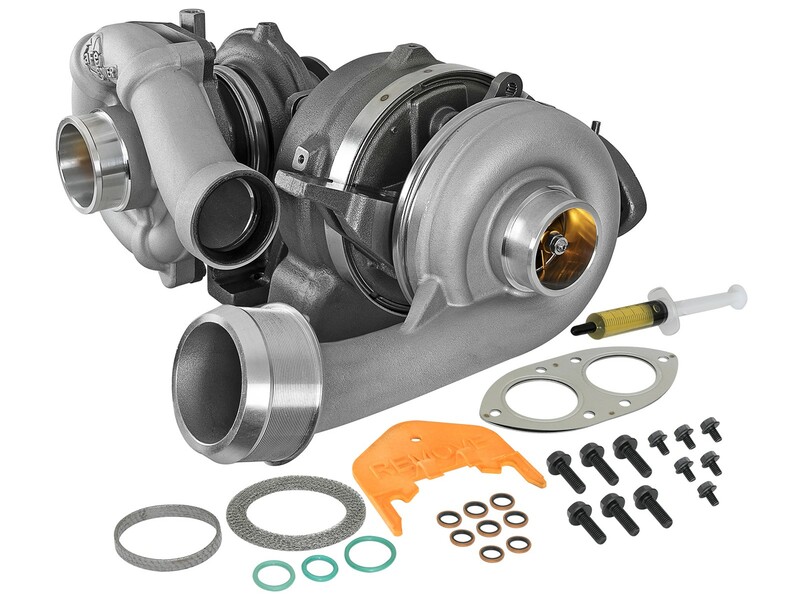 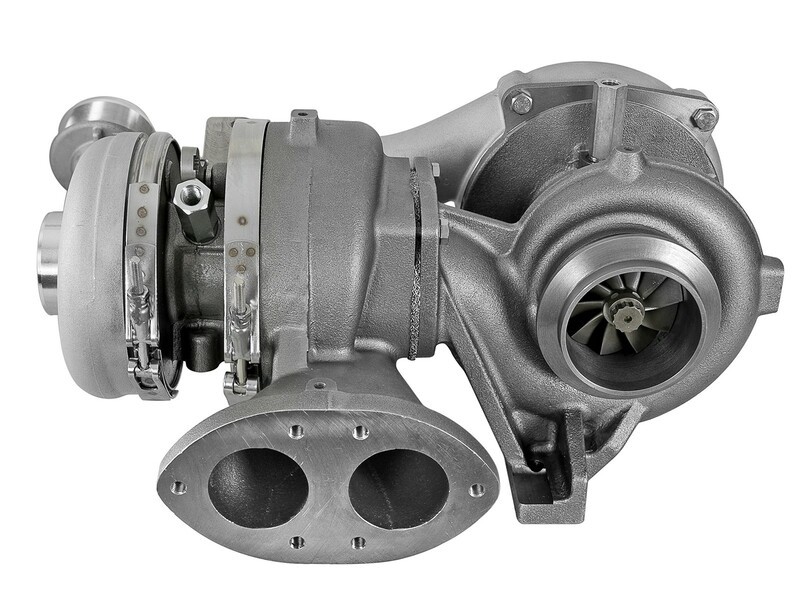 This turbo setup can be installed on the 2008-2010 6.4L (td) Ford F250/F350 Superduty as a direct bolt-on replacement. 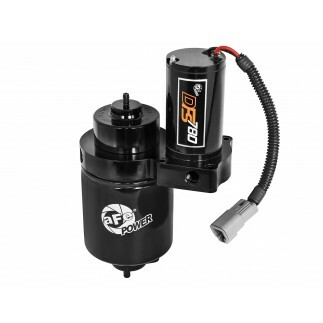 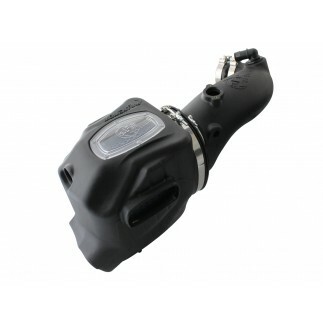 All connections to the vehicle are compatible with the OE geometry, resulting in a quick and reliable connection. 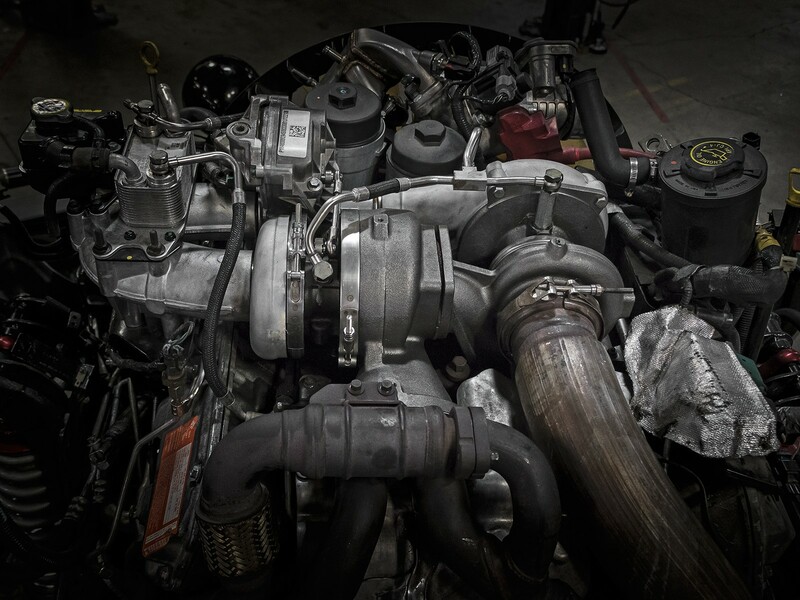 Maximum gains are achieved from fuel system upgrades, either electronic or mechanical.